Bengaluru: Chief Minister H.D. 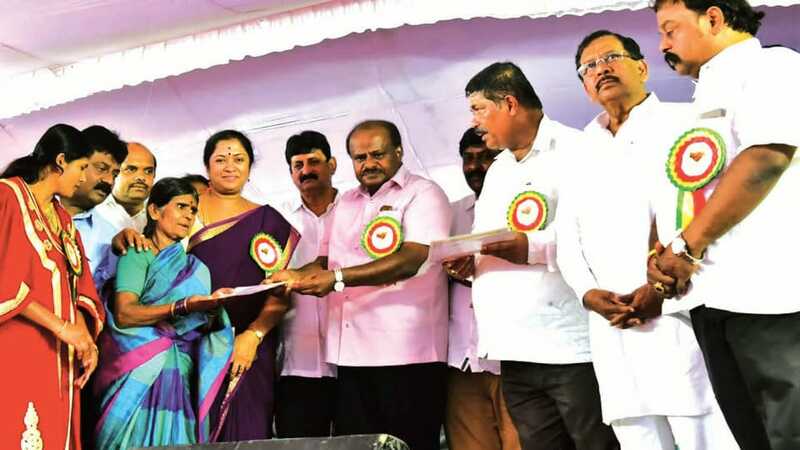 Kumaraswamy yesterday launched ‘Badavara Bandhu,’ an interest-free loan scheme for street vendors at a programme in Bengaluru. Under the scheme, nine banks and co-operative societies will give loans ranging from Rs. 2,000 to Rs. 10,000 without any interest. Vendors now need not have to run from pillar to post to get loans from banks. One need not have to show the BPL card too. All they require is an Aadhaar card and the street vendor card issued by the local Corporation. The mobile banks will provide loans to vendors on the spot. On Thursday, cheques were distributed to a few vendors. The CM pointed out that many poor street vendors take loan from rich agents. They repay heavy amounts as interest. These rich agents will wear heavy gold and have goondas with them who collect interest from these vendors. We wanted to help these vendors. “I urge vendors to repay loans on time so that they can take double the loan next time,’’ he said. Those who operate push carts by roadsides and people selling beverages, eatables, food and other services in motor vehicles, those who sell fruits, vegetables, flowers, baskets and such other things, and vendors undertaking cobbling work and selling footwear and other leather items, and also those involved with selling of toys, household items, etc., would be eligible under this scheme. However, those who sell things which meddle with cleanliness by the roadside and harm the environment will not get loans under the scheme.